Ed. 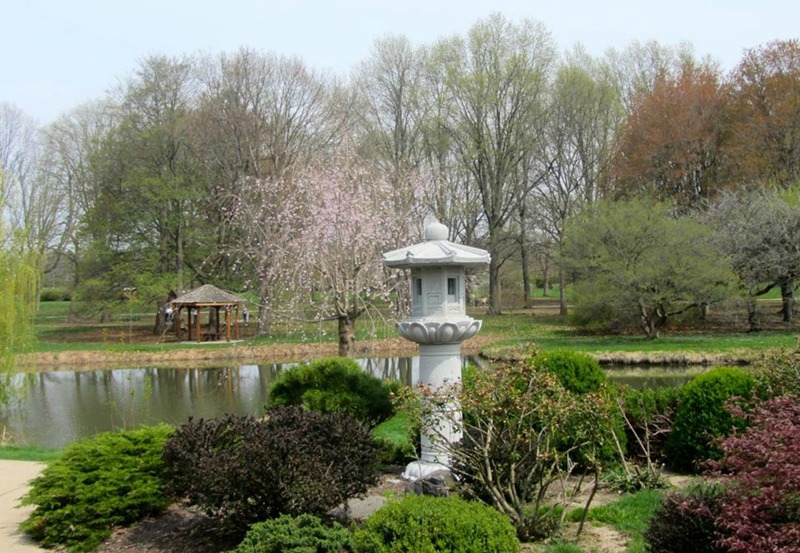 Note: The mission of Japan House at the University of Illinois is to provide an academic, cultural, and natural setting for promoting an appreciation of Japanese culture and related Asian cultural concepts. Built around the concept of Chado, the Way of Tea, with three separate tearooms, Japan House is a center for teaching and learning about Japanese art and culture. Japan House, a non-for-profit, has been working toward its goal of cultural tolerance and respect since 1976, when it began in an old, remodeled Victorian house on the edge of campus. Twenty years ago the doors to the current facility opened and the gardens were planted. This 20th anniversary year will be marked with special dinners, events, guests and the Matsuri festival at the end of summer. We think Japan House is one of Champaign-Urbana’s best-kept secrets, and we asked assistant director Cynthia Voelkl to tell you all about it. One of the wonderful things about Japan House is the feeling that you’re in another world when you get here, but the downside of that is that we can be hard to find tucked away as we are! It really is a very special place, however, both for it’s goal of increasing cultural tolerance, as well as for the spot of serenity it truly is. Unlike some of the other “houses” on campus, such as Native American House or La Casa, the role of Japan House is not to be a center for a certain ethnicity or nationality (although this sometimes happens naturally). Instead, the main role of Japan House is to be a teaching facility. Academic classes, taught through the School of Art & Design at UIUC, are taught throughout the year, focusing on Japanese tea ceremony, ikebana and Japanese aesthetics and philosophies. General outreach to the public is very important to us, as well. We host open houses in spring and fall, with tea ceremonies throughout the day, garden tours and always a presentation or demonstration of something related to traditional Japanese art and culture. We also host various other tea ceremonies, performances, lectures etc. throughout the year that are generally oriented to adults. However it is a great joy to have children at Japan House! Every spring, in early May, we hold Children’s Day, which is a traditional Japanese holiday with crafts and activities for young children. The Japan House gardens are a wonderful spot. They are open from dawn to dusk (the walled tea garden is closed during winter for safety reasons), and the ponds are full of koi and turtles. We also are within the University Arboretum, so there are other gardens nearby. For more information, sign up for email announcements of events by contacting japanhouse@illinois.edu, or “like” them on Facebook. Cynthia Voelkl is a Champaign mother of two and assistant director of Japan House.